1. She Owns It – she picked out the paper (golden of course) and the crayon (nothing other than purple). 2. 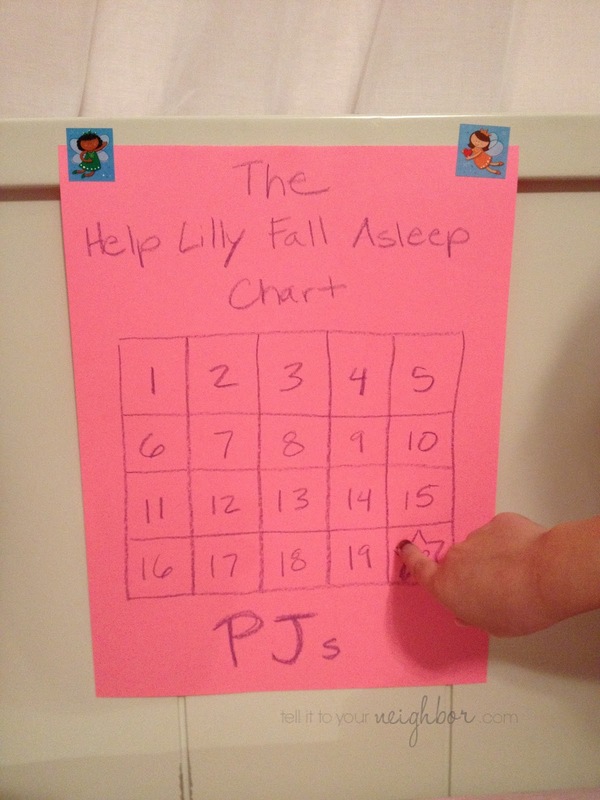 The Title, “Good Night Sleep Chart” – it’s about health and rest for a growing body and mind. She doesn’t want to be grumpy the next day and have to take a nap, so she wants a Good Night’s sleep. It says nothing about staying in bed because according to her that’s not the emphasis, it’s just health. Win, win! 3. 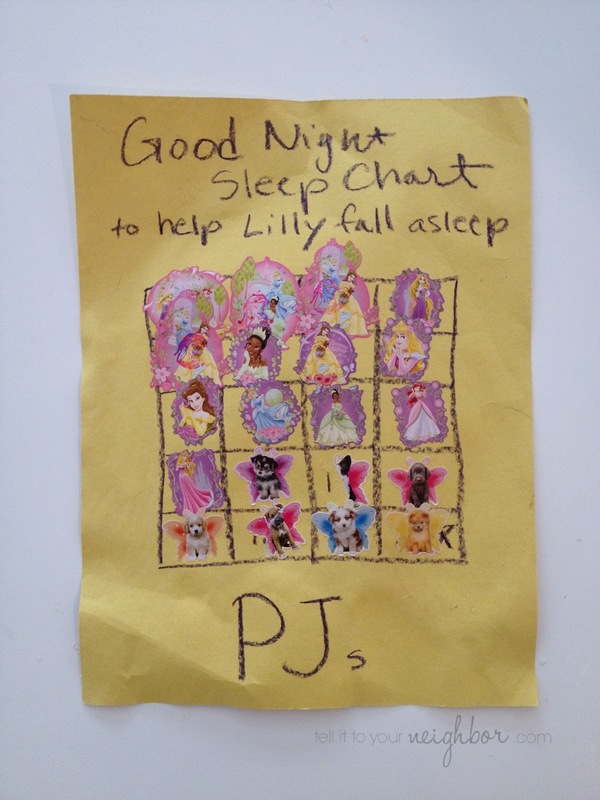 The Chart, The Goal, The Habit – The goal of this chart is to create habits for sleeping. So the magic number for us was 20 squares/nights, long enough to create a habit and short enough to feel attainable for our (at the time) 4 year old. Every kiddo is different at every age so choose what’s right for you, I think my sister did 7 nights at first for her 3 year old. 4. Where to post, In her room – Eye on the prize. She can see her chart on the wall from where she sleeps, I’ve even tried to hang it in her bed (baby brother keeps tearing it down). 5. 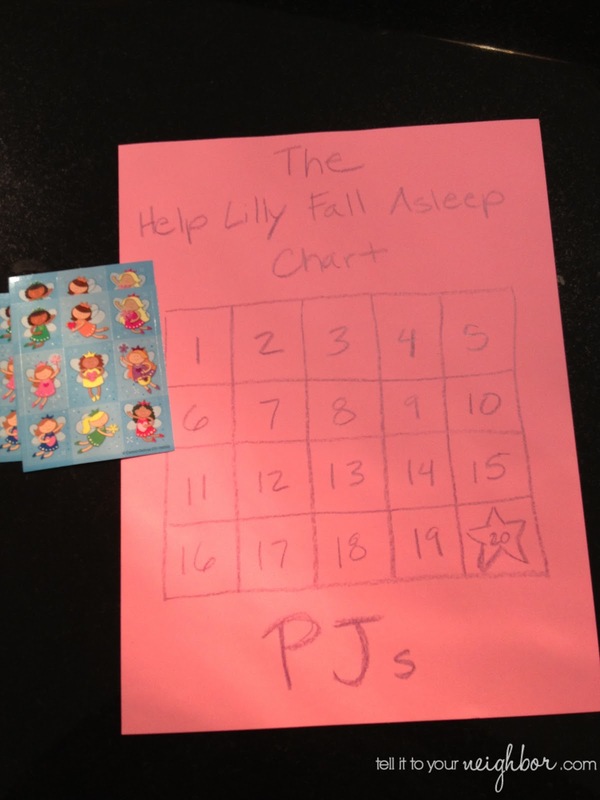 Explain – She gets a sticker if she stays in bed all night. It’s okay to get out to use the restroom as long as she goes right back to bed. Also, if there’s an emergency or she’s sick, throwing up or bleeding, it’s of course okay to get out or yell for us. 6. 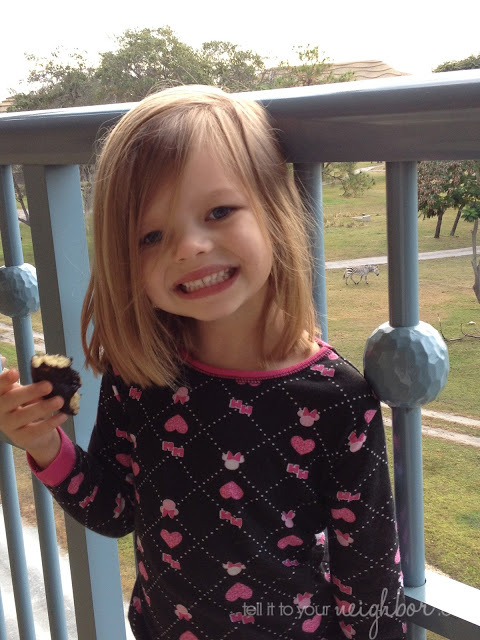 The Reward – Something we needed anyway, something she loves and something associated with sleep: Pajamas!!! She got to pick them out, Minnie Mouse! We’ve had huge success with this chart! We did have a few nights with no sticker but sometimes I gave her the chance to get 2 stickers the very next night to make up for the night with no sticker. Double the motivation! And 20 nights created a habit! Other things that have helped with fear at bed time are a flashlight, nightlight, leaving the door open and a prayer. She’ll repeat each line of this prayer after me and she’s got it memorized now so hopefully she says it in the middle of the night if she ever scared. and show me they’re not real. After I tuck her in and before I leave the room I say, “Can’t wait to give you a sticker in the morning!” It’s one last reminder before I shut the door and before she thinks about popping out for who knows what! I do own that hilarious Go To Sleep book for adults because I can relate! « Service Series: Cut It Out! Such a good idea! And PS- is that a Zebra in your backyard? I want to live in your neighborhood! ha! Love your sweet prayer about dreams…I'm going to use this with my 5 yr old! What a great idea! I love the prayer. A.J. is good about staying in bed, but will file this away for when Olivia is out of the crib.